Our team project goal was to replicate the design process of an architect in the early stages of generating a custom house for a client. We developed an agent that tried to capture the client’s needs and expectations when interacting with the client. The output is a sketch that reflected not only explicit inputs from the client but also other background information such as common facts or learned knowledge. 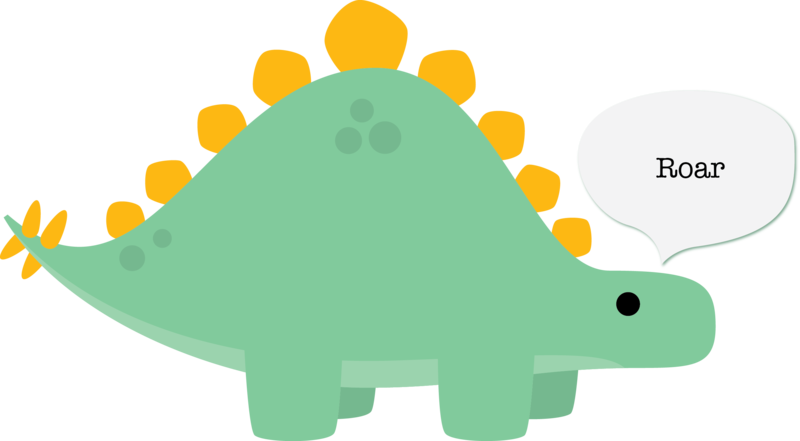 Part of the project requirements were to integrate aspects of cognitive science, and in our case, we implemented observed forms of Distribute Cognition and Emotion into Agent J. We started without a good representation of the architectural process and, as we added new information, we updated our personal mental representations to match what we saw. 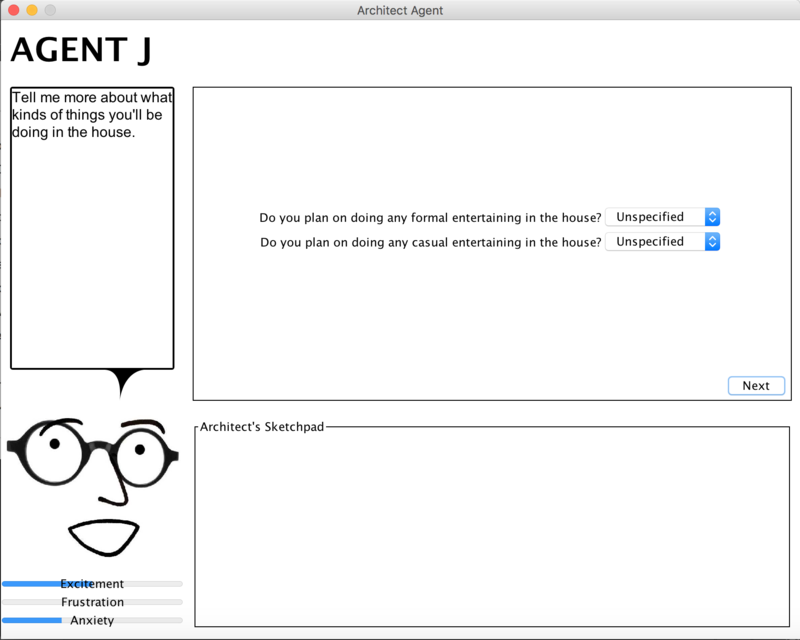 As we learned more about the architectural process, as we interviewed across participants, and as specific elements were reiterated, different features of the process were reinforced and were implemented in Agent J, our architect AI agent. The entire analysis employed an extremely wide range of studies, predominantly of the qualitative nature. One of our team members, Jeffrey, is a professional architect. Using his extensive previous experiences in designing a houses with clients, he was able to employ introspection in multiple ways. 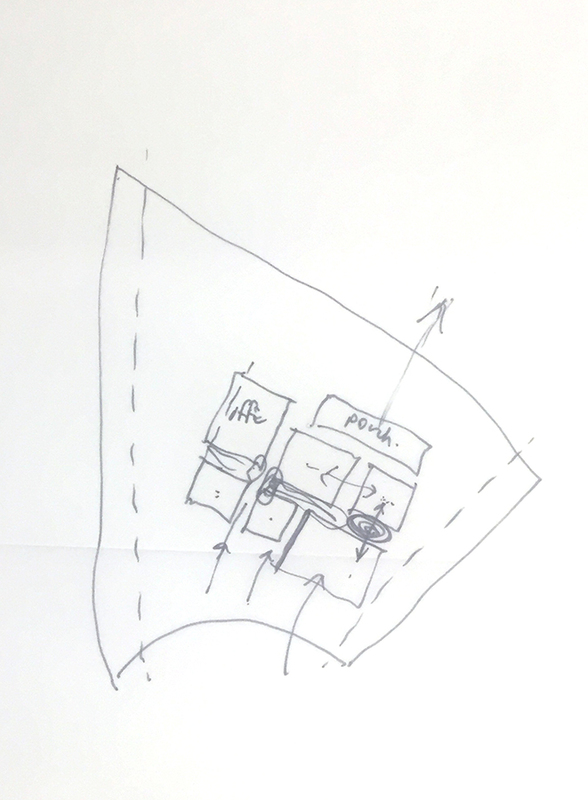 In the beginning, he used it to consider what kinds of inputs would be necessary for an architect and our agent, as well as narrow our project focus, representations, and output. This guided our initial approaches towards searching for valid hypotheses about the cognitive process. 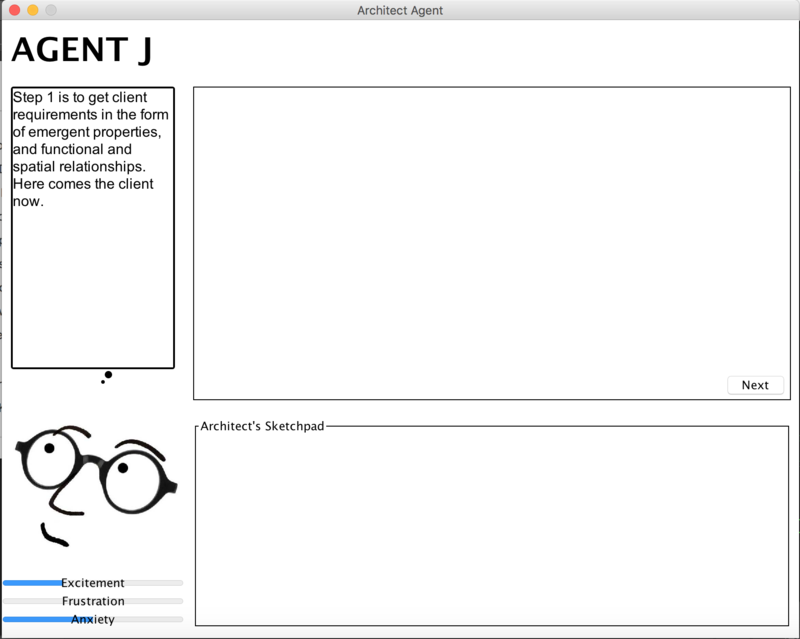 The literature review helped us refine our hypotheses on why designers use sketching in their process and helped guide our methodologies for integrating emotion into Agent J. The team conducted a discussion-based speak-aloud/interview with several architects. The research team conducted a study with an architect reflecting upon a series of residential diagrams. 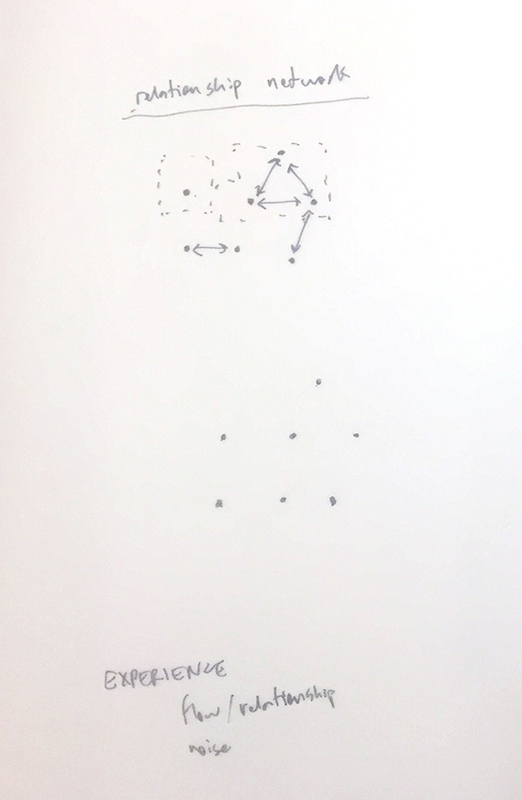 As he looked at the diagram, the researchers queried Jeffrey on the meaning of different representations. To provide a brief overview of the whole process, we moved from this concept of “architects only use functional and spatial relationships to define emergent properties” to “architects use everything they can get their hands on to generate good emergent properties and spatial requirements” to “architects use case-based reasoning in the background knowledge phase and apply a rule-based structure to generate the specificities of the user requirements.” To tie this back to our cognitive process, we think we might have applied case-based reasoning here as we used prior experience with design thinking and HCI research to build out solid formative and summative evaluation plans for the analysis. 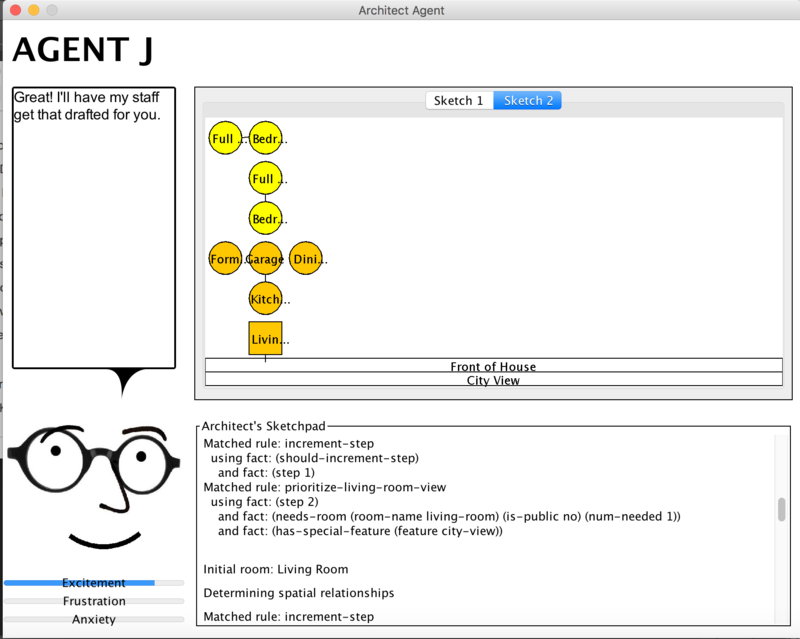 First, Agent J works with the client to generate a set of finalized requirements through a UI. This process depends on the emotional state of Agent J. A sufficiently high level of excitement, based on the Agent J’s preferences for certain elements of design, is required to move forward. Additionally, a sufficiently low level of frustration is required; frustration increases as clients decline to provide information that would be important to the design. Once the excitement level is high enough and the frustration level is low enough, Agent J will move forward. 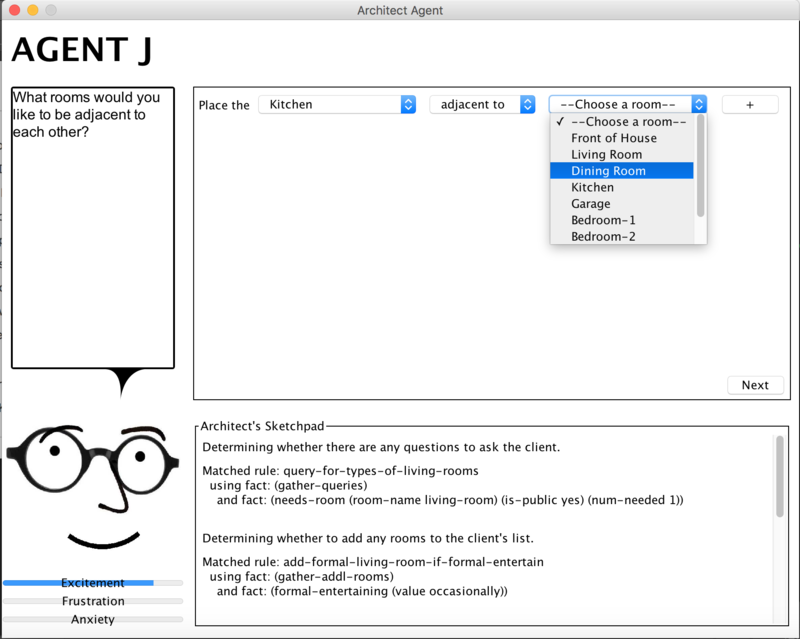 In step 2, these requirements and Agent J’s prior knowledge are used to generate the focal point room. In Step 3, the client requirements, Agent J’s prior knowledge, and the focal point room are used to generate any spatial relationships in addition to what the client had explicitly asked for. 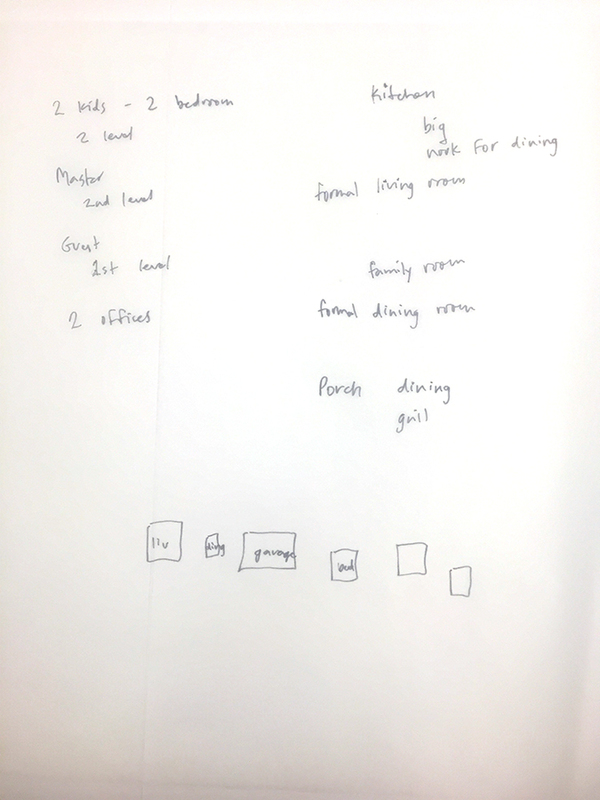 Finally in Step 4, Agent J sketches house plans based on provided spatial relationships and spatial relationships determined through background knowledge of the agent and reasoning. The number of sketches the agent produces is dependent on its anxiety level, which starts out high and decreases based on comfort with the client and the design. A higher number of sketches comes from a higher anxiety level, as the agent is not confident in what it has produced and needs to compensate with more sketches.